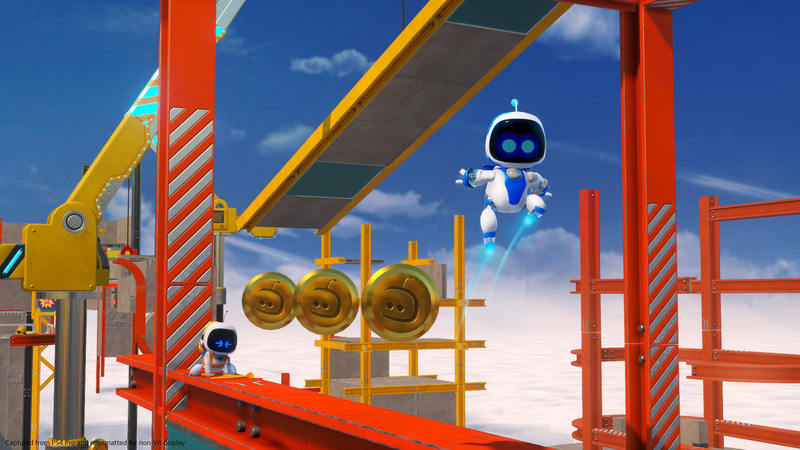 Astro Bot Rescue Mission is honestly one of the best games of the year, but don’t just take our word for it, as a free demo is coming to the PlayStation Store next week. The complimentary sampler will give you a taste of the title by allowing you to navigate a high-rise building and take on a boss. If you haven’t bought the release yet, we’re convinced this will sell you on it. 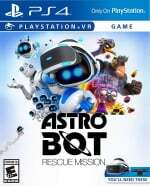 You can check out our review of Japan Studio’s superb PlayStation VR platformer through here, in which we concluded: “Astro Bot Rescue Mission is an imaginative and innovative platformer which plays to the strengths of PlayStation VR and delivers an immersive experience that isn’t easy to forget.” Give it a go! no excuse for anyone not to try this game out now. @jacobia Enjoy it man, from all accounts this game is top notch. @Turismo4GT Why thankings, my good fellow! I certainly enjoyed the charm of it’s beginnings on VR Worlds, so my purchase was pretty much a given when I first read about the full game’s development. Completed the game last night had a smile on my face from beginning to end. Going to go back and get all the bots and chameleons I missed and then give the challenges a go but feel a few of them may be a bit beyond my skill level. Getting this for sure as soon as the misses will allows (bills first, and I've only just got Spider-Man). So nice to have a demo to tide me over. I think more VR games need demos. So much more than regular PS4 games. I’ve been gushing about this game ever since I got it, but if you invested in Gen 1 PSVR then you really should play it. I think the game has ruined traditional platformers for me- same as with RE7 & horror. Once you experience games like that in VR it’s hard to go back. @Fight_Teza_Fight Absolutely agree with you there.Bought this game a few days ago and not only do i think it is the best VR game to date,I can't see myself ever enjoying a platformer as much as this one unless it runs in VR.Already I am hoping Spyro will be vr compatible..
@Wazeddie22 I thought it was just the initial VR wow factor at first, but I really think this game has laid the foundations to what a VR platformer should be. I really hope Sony full-on get behind Team Asobi. People should be buying it anyway. I'll give the demo a try when it's out, even though I know I'll get the game. @Fight_Teza_Fight @Wazeddie22 Is this game that much better than the original? I'm a huge demo fan, I miss getting nearly 1 or 2 every single week on PS3, but this game basically already has a demo in the free Playroom VR, they should just advertise that more. I'll still get it anyway bc/ free, but I've played the original enough to know what to expect I think. @Fight_Teza_Fight Talking of VR and horror games, have you seen this? It’s coming out on 16th October. I think it looks awesome 👻👻👻. @rjejr I've not played the Playroom VR, so I can't speak for it. Although the word around the internet seems to be that Astro Bot takes the concept and just takes it further. Try the demo. I'm pretty hesitant in recommending games to other people, but this one is a no-brainer. @jacobia Well that looks terrifying ! Thanks for sharing. Hopefully PushSquare get around to reviewing it. @Wazeddie22 Late? It was a couple of hour sago, I have unread email replies from 2012 I haven't gotten to yet. I am looking forward to it, now that I'm over the removal of the couch co-op. One thing I have come to realize after looking over the 172 VR games currently on sale, so many of them look like little more than tech demos, but they are $20 games. The Thor rollercoaster games say they are 7 and 8 minutes each, for a $9.99 game. MSRP, sale is $5. But even $5 is too much for me for a 7 or 8 minute long game. I'm buying VR Worlds b/c even though it's 5 short games, it's still 5, so that's only $1 per game. I feel like a lot of these VR games would be better served bundled together, 3 at a time for $15, than single purchase games. Not all of them, but a lot look like Wiiware. Even graphically. I need demos. Couldn't agree with you more on the VR bundles.Gotta admit id be a lot more tempted that's for sure.Can't believe those rollercoaster games are less than ten mins!I bought a VR game a while back (can't remember the name) but it only took me 20 minutes...I was totally disgusted after paying about £15 for it!I only but VR games now that are either in a good sale or I have played the demo for.With the exception of Astrobot of course but I more or less knew what I was getting. @Wazeddie22 I borrowed Batman Arkam VR from the library and it took me about 2 hours. But 20 minutes of that was trying to figure out one puzzle. There's an animal movie that's about 3 minutes long, as was Spiderman, but at least both of those were free. Skyrim is really long, so there's that. I still have to look into Tethered, the 8/10 PS gave it was in the trailer but the 6 to 7 hours of game play read like 30 minutes redone 13 times. Sounds like it would have been a good game for the first, or maybe 3rd or 5th, level to be in a demo.